Your pets are part of the family. You buy them gifts during the holiday season, look for toys and games to keep them entertained while you are at work, include them in family pictures, and, when doable, take them along on vacation. Sometimes, it is necessary to travel without your beloved furry (or perhaps feathered) family members and find yourself in need of a pet sitter in North Raleigh who will love and care for them as much as you do. There are many options for securing pet sitting, but not everyone is someone you can depend on. At Ark Angels Pet Care, our team is sure to go above and beyond what you need for your pet. From taking them to the vet when you can’t leave work, to feeding and grooming them while you are on vacation, the Ark Angels team will put their years of experience to task and ensure your pet is happy and healthy. As the state capital, there is always something going on in Raleigh, and the venues and neighborhoods in North Raleigh are no exception. You may choose to spend the day visiting the assorted vendors at Lafayette Village, relax with a microbrew at the Neuse River Brewing Company, or take your fur baby to explore the winding trails at Top of the Hill Park. There are beautiful townhomes and quiet neighborhoods where you can retreat into the backyard and relax. But the best part about North Raleigh is the many places where you can spend the day hanging out with your pets. From dog parks such as Millbrook Exchange to restaurants like Bruster’s Real Ice Cream, there is always somewhere new to explore with your four-footed friend. The team at Ark Angels Pet Care knows of many other places in north Raleigh where your pets are welcomed, and are happy to share their insight. We understand how important your pet’s happiness is to you and will do our part to see that your pet is well cared for while they are in our care. What Does Ark Angels Pet Care Have to Offer Your Pets? Our Reiki Healing sessions set Ark Angels Pet Care apart from many other pet sitters in the North Raleigh area. Reiki is a technique used to help animals who are dealing with threatening illnesses, depression, or stress to gain balance and a more confident attitude. Not every animal is naturally trusting of others, and sometimes they can become depressed – especially if they have experienced a loss, whether it is a human or animal playmate, a change of living space or even the change of the seasons. Reiki sessions vary in length, as well as number, and are designed to help your furry friend feel more relaxed and calm. It is accomplished through simple, natural methods that help give your pet increased energy and a better quality of life. Should you have an exotic pet such as a bird, reptile, amphibian, fish, or crustacean, our sitters are able to attend to them. 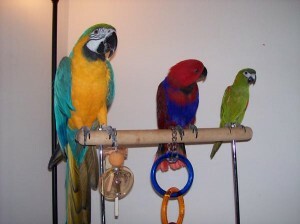 In fact, many of our pet sitters have owned (or own) pets of this nature and are happy to take care of your exotic pet. In addition, our team is skilled in working with animals who need care such as special dietary needs, the administration of insulin or administering subcutaneous fluids. 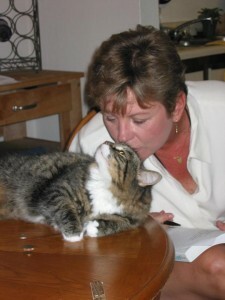 Our North Raleigh pet sitters are not just anyone who says they love animals. The Ark Angels Pet Care team must go through several interviews, pass background checks, be willing to work holidays and are all devoted animal lovers who understand how important your pet is to you. They will ask several questions to get to know about your pets and their needs, so that their time with your pet is a positive, loving experience that your pet enjoys. It is our goal to provide professional pet sitters in North Raleigh so your pet experiences maximum comfort and you get peace of mind knowing your pet is in good hands. When it comes time to travel without your pet, you don’t need to be stressed. The Ark Angels Pet Care team can be counted on for dependable, friendly service that sees your pet as not just an assignment, but as an opportunity to play with and care for your pets. Our team members are well versed in pet sitting responsibilities and we guarantee that they will exceed your expectations. In fact, we will even go above and beyond to do things such as bring in the mail for you when we visit, if you’d like. We know that your pets are family and that you need to have the peace of mind that they will not suffer or hurt for attention while you are gone. Don’t let worries over your pet take away from your next trip. Call us at (919) 782-5421 or contact a North Raleigh pet sitter from Ark Angels today.